A barn conversion based on Langdon Farm, near Launceston in Cornwall. It has two bedrooms comprising of a double and a twin room as well as a shower room, it can sleep four people. Also inside there is an open plan living area with a kitchen, dining area and a sitting area with an electric fire. To the outside there is ample off road parking, a raised lawn with furniture and a shared decking with furniture and a barbecue. 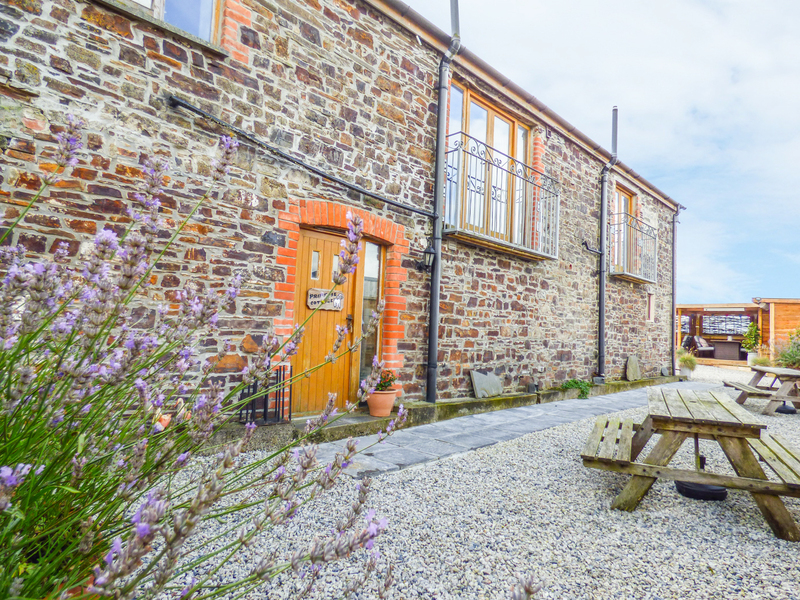 Primrose Cottage is a stunning cottage in a great rural location to be enjoyed at any time of the year. Oil central heating with electric fire. Electric oven and hob, microwave, fridge, dishwasher, TV WIFI. Fuel and power inc. in rent. Bed linen and towels inc. in rent. Two travel cots and one highchair available on request. Ample off road parking. Raised lawn with furniture and a shared decking with furniture and a BBQ. One well-behaved dog welcome. Sorry, no smoking. Shop 5 miles, pub 10 minute walk.